Along the way, there are enough surprises thrown in that I'm still taken aback—the nutty schoolyard “nah-nah-nah's” behind the backwards solo in "Another Day," the lead guitar entering on top of the second vocal verse in “Plastic Bird,” even some of my own drum fills give me a start (did I mean to play that, or did it just happen?). And through it all, Naomi's bass, sounding so grand and melancholy. 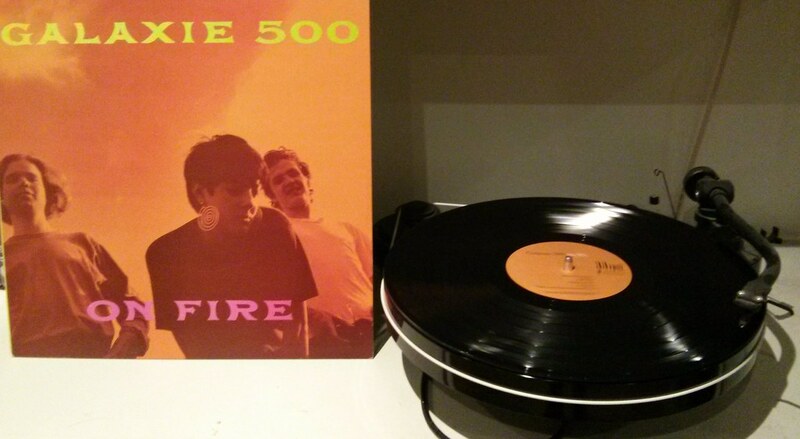 Damon Krukowski Looks Back on Galaxie 500's "On Fire"
Head over to bandcamp daily to read the full article.